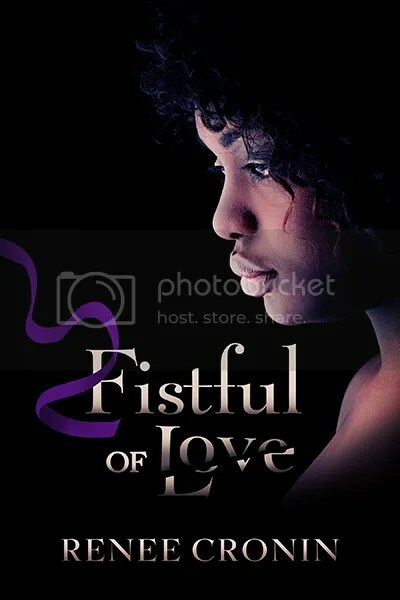 Guest Author & #Giveaway : Fistful of Love by Renee Cronin! 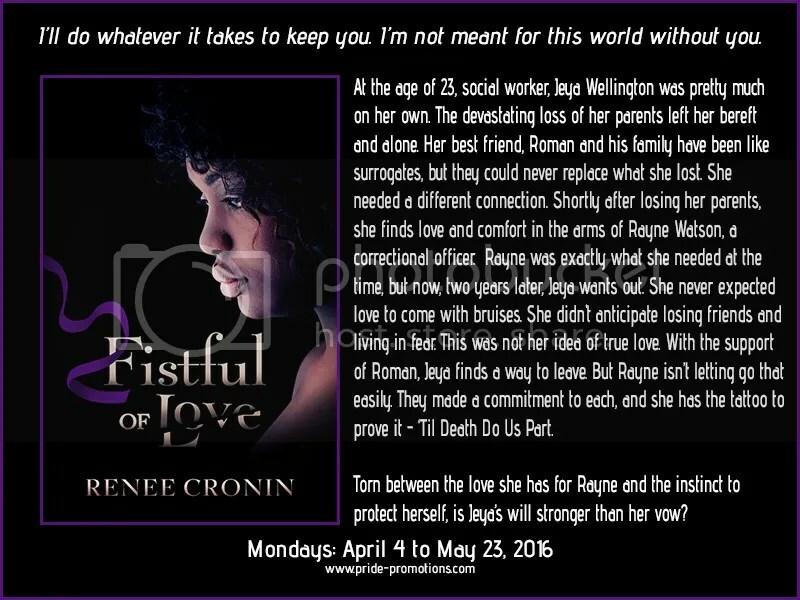 Today I’m very lucky to be hosting Renee Cronin author of Fistful of Love! She’s going to tell us a little about herself and what she wanted to be when she grew up. I wanted to be a choreographer. I love dancing and I love how dance performances are put together. The creativity behind a choreographer is something I have always admired. Alas, that is not where life took me. I went to college as a pre-med major. I was planning to be a pediatrician. Joke was on me. Science has never been my strong suit and it showed in college. It wasn’t meant to be and my major changed at midway through my sophomore year. I studied Social Justice in Education and ultimately became a social worker. I love what I do! Two simple words, intended to signify the end, were instead just the beginning. Jeya took a deep breath, and the pain that pierced her side served as the reminder she needed. She hit the send button. Unexpected relief instantly washed over her. “I did it. Step one. Now for step two.” Jeya placed her phone on the bed and stood up to double-check her suitcase. Going over the checklist in her mind, she felt confident that she had the essentials. A week away from home required more than she’d anticipated, but she had no intention of returning until the rainstorm had passed. Jeya took a second to acknowledge the double entendre of the word. Her girlfriend, Rayne, was definitely a hurricane. Her temper was unpredictable and left damage in its wake similar to that which Hurricane Gloria had. She knew she’d be safer at Roman’s house for the next several days. The lyrics to “Dangerously in Love” cursed the air. The perfect ringtone to describe her relationship. She braced herself as she walked to the bed and picked up the phone. Jeya anticipated nothing less than an explosive response from her short-tempered girlfriend. Renee Cronin is a self-professed devour of knowledge, and a voracious reader. She began writing in earnest in 2005, when the characters in her head became so loud she was forced to tell their stories, or risk getting swept away into the abyss of her imagination. Renee has since used writing as a personal outlet to express her feelings, ideas, views, thoughts, and opinions about the world and the issues that impact her on a deep personal and societal level. (And of course writing also quiets the voices in her head of the many characters that are yearning to have their stories told.) Renee’s inspiration to publish is in large part due to the overwhelming display of encouragement, and support from family and friends, who believe she has a gift with words that need to be shared with world. Born and raised in Boston, Massachusetts, she works in the social work field avidly advocating and supporting the varied needs of the people in her community. Renee is a bibliophile with a transcendent love for words. Her soul yearns for the acoustic stylings from a plethora of musical genres. As she continues on this journey of published author she hopes to keep her readers captivated and pining for more. This entry was posted in For Your Reading Pleasure and tagged Contemporary, Guest Author, Lesbian Fiction, Pride Promotions by Charley Descoteaux. Bookmark the permalink.